French President Emmanuel Macron has proposed to amend the nuclear deal with Iran to cover ballistic missile development to avoid a “North Korean” scenario in the Middle East. 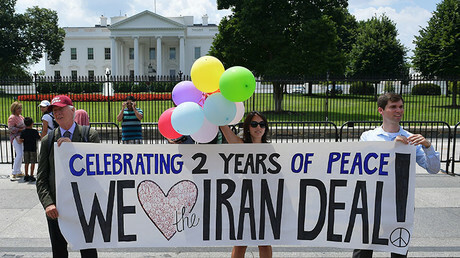 In 2015, Iran and six major world powers reached agreement on the Iranian nuclear question, bringing an end to the 12-year dispute over Tehran’s nuclear program and related economic sanctions. Under the terms of the deal, called the Joint Comprehensive Plan of Action (JCPOA), Tehran agreed to cap its uranium enrichment below the level needed for bomb-grade material. It also pledged to reduce its enriched uranium stockpile from around 10,000kg to 300kg over 15 years and agreed to international inspections. 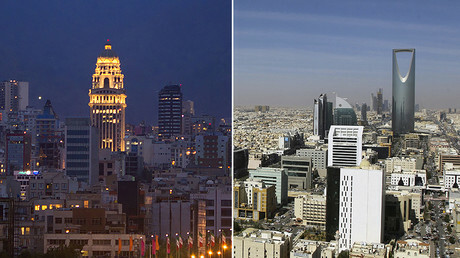 In response, Western countries promised to lift sanctions against Tehran. On Thursday, Macron suggested amending the JCPOA, despite eight International Atomic Energy Agency (IAEA) reports which have confirmed Iran’s full compliance with the agreement. “I will work to convince all those who want to question the 2015 agreement, our American partners, and the Saudi neighbor,” Macron said in Dubai Thursday. Later in the day, Macron made a surprise visit to Saudi Arabia, where he reiterated that he was “very concerned” by Iran’s ballistic missile program. “There are extremely strong concerns about Iran. There are negotiations we need to start on Iran’s ballistic missiles,” he said in Riyadh. Kaveh Afrasiabi, a former adviser to Iran’s nuclear negotiating team, seems surprised that Macron is trying to rewrite the nuclear deal considering that Paris “did not play a productive role” in the 2015 nuclear negotiations. “There was an element of French [malice] that lengthened the process,” he noted. Macron instead believes that amending the agreement is vital to maintain the balance of power in the region and to avert the possibility of Iran becoming a new nuclear state. 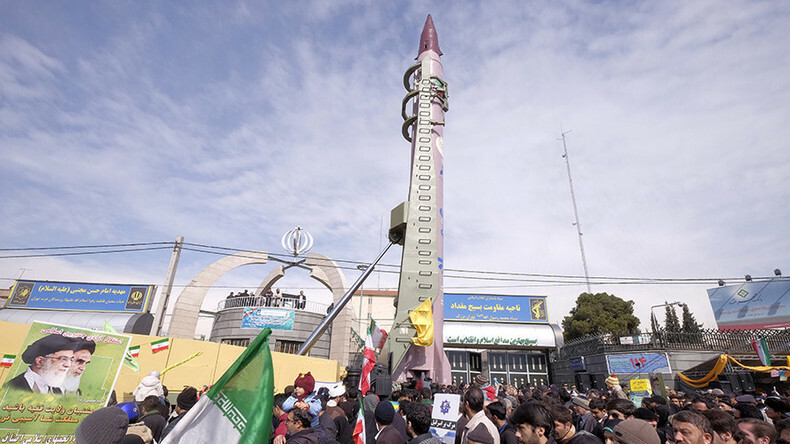 The Joint Comprehensive Plan of Action covers Iran’s nuclear program, but not its increasingly-sophisticated ballistic missile arsenal. That is what concerns its neighbors, the US and now, Macron. The issue of Iran's missile program has been in the crosshairs of the American administration ever since President Donald Trump took office. The issue was exacerbated further this week when Saudi Arabia lashed out at Iran for supplying missile technology to countries in the region, and after Houthi rebels in Yemen fired a ballistic missile towards Riyadh last week. While Tehran denies its missile development breaches any agreements as the weapons are not designed to carry a nuclear warhead, Macron expressed hope that Washington will join in efforts to force Iran to stop its ballistic missile program. The increasingly expanding efforts to break or renegotiate the deal reached with Iran in 2015 is also of great concern to Russia as it brings with it new risks to international security. “Any attempts to start such talks [to break up the Iran nuclear deal] may bury this important agreement in the sphere of strategic stability and nuclear non-proliferation,” Russian Foreign Minister Sergey Lavrov said last month. Trump announced in October that Washington would not certify Iranian compliance with the JCPOA. “We will not continue down a path whose predictable conclusion is more violence, more terror, and the very real threat of Iran’s nuclear breakout,” the president said in a speech. The US leader’s decertification announcement gave the US Congress 60 days to reevaluate the nuclear deal and opened the door for US lawmakers to consider reimposing nuclear-related sanctions. Macron’s visit to the Middle East comes amid renewed tensions between Iran and Saudi Arabia. In another recent development, Lebanese Prime Minister Saad Hariri abruptly announced his resignation while in Riyadh last week, citing fears of assassination and accusing Iran and its local ally Hezbollah of a “desire to destroy the Arab world.” On Monday, Saudi Arabia accused Lebanon of “declaring war” on the kingdom by allowing Hezbollah’s “aggression” against the Gulf monarchy. To add to the twist, reports have now emerged that Hariri is now being “held” in Saudi Arabia against his will. “President Macron seems to be sliding closer and closer to President Trump in his disastrous and one-sided Middle East course of action. One would expect the French president to play a very delicate balancing role,” Afrasiabi said. “He seems to be appeasing Iran's rivals in the region, maybe trying to be a shrewd salesman of French arms to the region… And trying to insert itself in the regional security calculus more organically. “Whatever it is, I think, President Macron is treading the wrong path and is not really faithful to that mediation role that is required to defuse this really potentially dangerous crisis in the region,” Afrasiabi added.